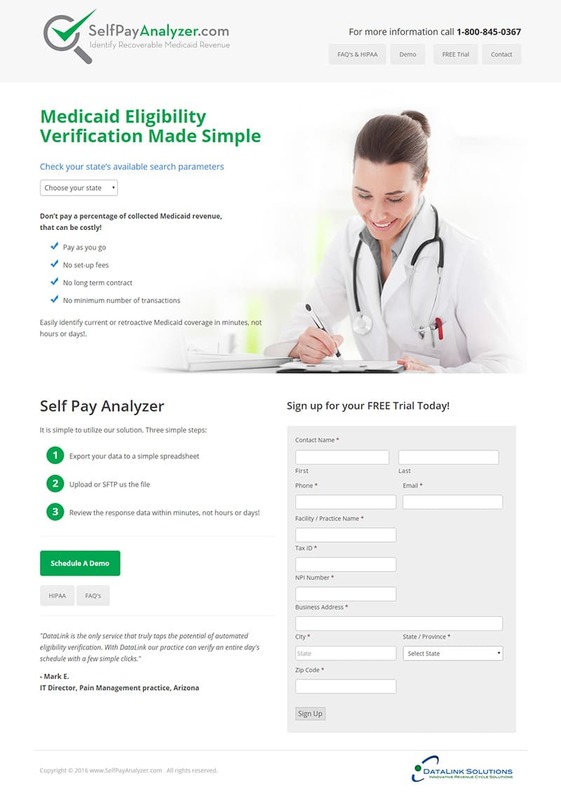 Self Pay Analyzer is the second site I’ve built for this client, a company in the medical records and payment industry. 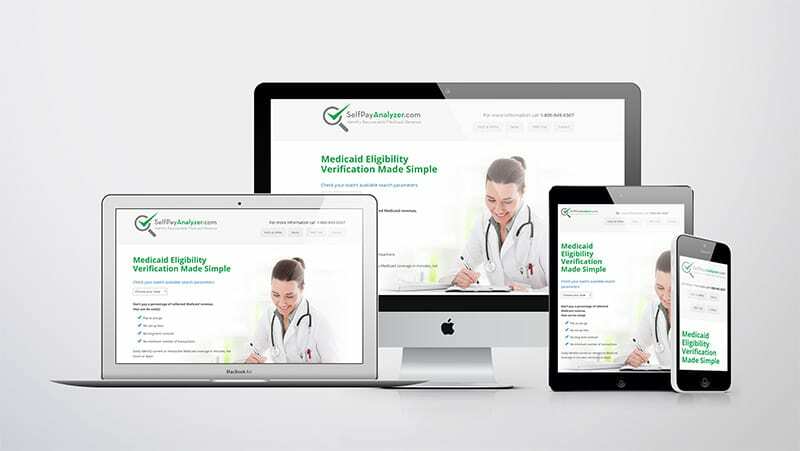 For this site, the client was seeking to build an online lead generation machine to capitalize on their already-existing Medicaid eligibility verification app––an app designed to help doctors’ offices better manage their Medicare revenue. 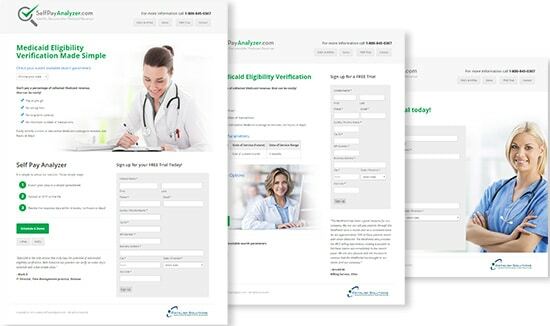 This custom designed and coded site highlights each state’s search parameters and prompts users to sign up for a free trial, which feeds the client’s sales funnel. 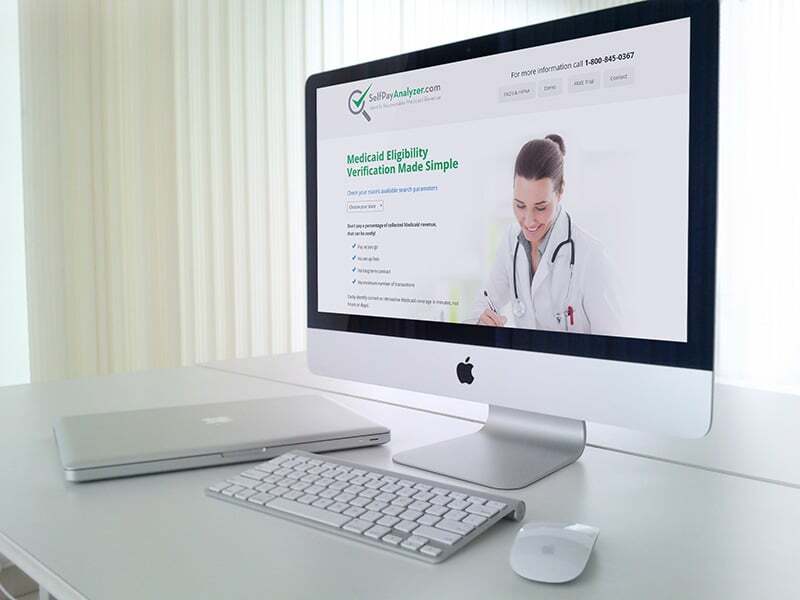 The site features interactive forms, search engine friendly coding, and is powered by WordPress.